Well, I have been very bad. Crazy days getting home late and totally forgetting to post. 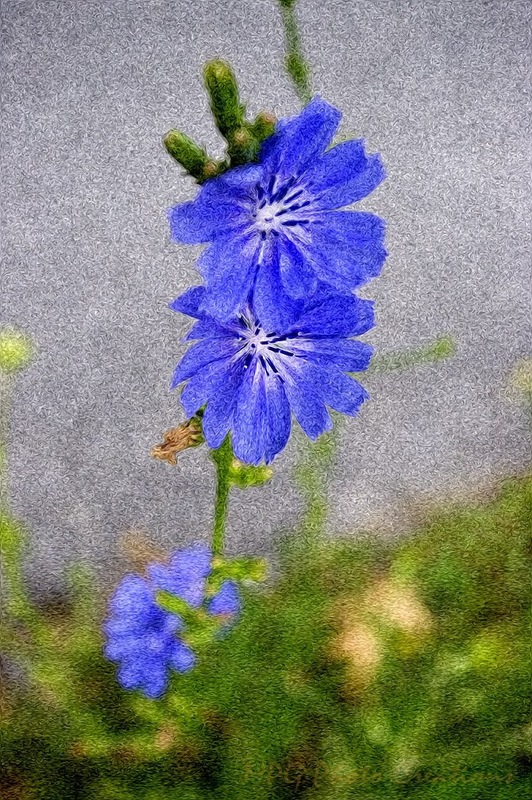 This is an older image from the archives of some Chicory blooms that I applied a paint effect to.